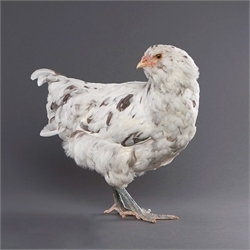 Blog Home | Baby Chicks | Rare chicken breeds – Top 4 Available Now! Rare chicken breeds: you probably already know My Pet Chicken is the place to get the rare breeds, otherwise you wouldn’t be here. If you’ve tried to reserve them in the past, you may have found it difficult to do so. they’re snapped up quickly! So what I’m telling you today is that we have them RIGHT NOW. 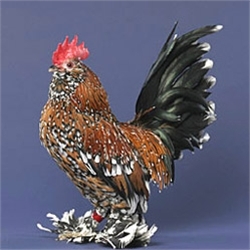 This beautiful Splash Ameraucana would be a stand out in most flocks! Yes. Now. Go look before someone else buys them. The big problem with offering these rare chicken breeds is that our breeding flocks are relatively small. They get bigger every year, so we have more of the rare breed chicks available each year, but frankly, it can still be incredibly hard to make a reservation for the rarest of the rare chicken breeds. I remember the first year we offered Black Copper Marans, we sold out for the year in just less than a week. A whole year’s worth of BCM chicks were reserved in one week–ONE WEEK! Crazy. So here’s how it works. Our hatchery literally, quite literally, has to count our chickens before they’ve hatched. They are counted even before the eggs are laid, because we list availability many. many months in advance. But what that means is that about 21 days before every hatch day—chicken eggs take 21 days to hatch—we have final, confirmed numbers of the number of eggs we can set. When more eggs are laid than were estimated, the prediction of how many will hatch can be updated, and our baby chick “inventory” can be increased 21 days from when the eggs were set. 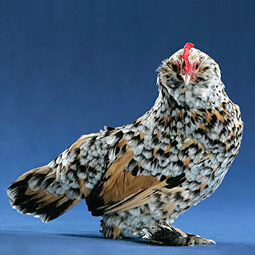 So, now is the time to reserve some of those rare breed chickens you thought you missed. As of the time of this writing, Friday morning 1.17.14, I see some great rare breeds available to be snapped up! 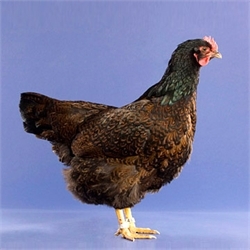 BarneveldersThis is one of the rarer breeds: lays a dark brown egg, but not as dark as Marans, Welsummers or Penedesencas. Even so, people who love the chocolate layers often want one or two . The double laced plumage is stunning! And the chicks are–of course–adorable! 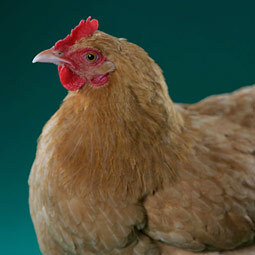 Orpingtons are a favorite lap chicken–productive, hardy and friendly. The buff color is fairly common. Blue Orpingtons are very rare, though! Blues are a “hot” color right now, and everyone who loves their Buff Orpingtons wants their favorite breed in a new color! 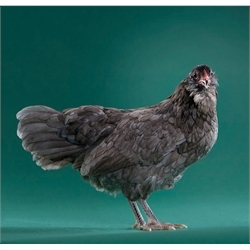 If you love your Buff Orpington, you might like to add a Blue Orpington or two! Isn’t the lavender color beautiful? If you do want lavender orps, be sure to reserve yours soon! Ameraucanas lay blue eggs, and are usually personable and friendly. They especially seem to get along well in a mixed flock. These are very popular because they have so far been available only through breeders–and breeders generally do not offer sexed chicks. 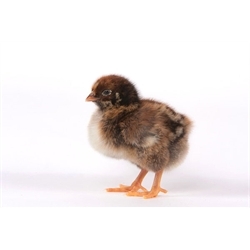 Mille Fleurs are not hard to find at hatcheries per se… but My Pet Chicken’s hatchery is the only one in the country that offers sexed bantams, so we sell out early in the year, and they are almost impossible to find sexed. Buying straight run birds can be a big gamble, since you may end up with all, or mostly, males. If you live in town where roosters are prohibited, how are you supposed to get your hands on birds you can keep? The Mille Fleurs are favorite pets. They’re small birds, no prolific layers, and their eggs are small and infrequent. This is purely a breed kept for pleasure. Mille fleur chicks are adorable, but a lot of times they don’t compare with the beauty of adult chickens! 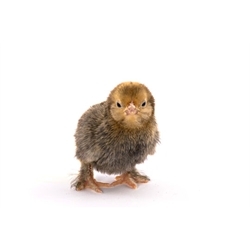 To see what else is available, be sure to visit the day old baby chicks area of our website. Please note that you can “filter by available date” near the top of the white area of the page.! What breeds would you like us to plan for more of in the future? Please let us know in the comments! Could you please email me what you have in rare breeds. I’m interested.. Thank you..
Hi, Janet. You must have missed the links in the blog post above that take you directly to availability information on our website. Just click on those links; availability is updated every few minutes. I remember that first year for Black Copper Marans and am so happy I was able to get three lovely hens. They are great and very healthy. They are also quiet which is very nice. I love my hens so much. I’m looking forward to my order this year. I didn’t get any rares this time but am very excited about getting my first Buff Orpington as I have heard so many good things about them and I want a huggy hen. Hi! I have four guineas and I’m thinking of hatching two or three more eggs under a chicken. Will this work? Also, I’d like to keep the hen and chicks in with my other hens instead of separating them (although I’d obviously supervise them at first). I do let my hens out of their fenced yard for a few hours a day though, although none of them stray far from the coop. I’d keep the chicks in if it was cold or wet and I’d keep an eye on them if they went outside. Is it OK to let them and the mother go out with the other hens or do I absolutely have to keep them separate?? Thanks for your help! Hatching guinea eggs under chickens is not always the best idea. They take nearly a week longer to hatch. Some hens will have given up by then. A silkie might make a good brooder/mother because she’s likely to wait the extra time. You will not need to worry about keeping the chicks (or keets, in this case) in during cold or wet weather. Mother hen will take care of them, and they can run to her to warm up or shelter as needed. 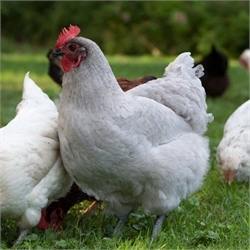 However, it is recommended to keep them separate from the other hens until they are at least three or four weeks old. Be sure to introduce them properly. In the “good old days,” broody moms and babies just ran with the flock. However, there were sometimes casualties. Letting them run with the flock is only something you’ll want to do if there’s plenty of room for them to get away AND it’s okay with you to lose one or more babies in a squabble. That’s just too heartbreaking for most people. Thanks, Lissa! I guess I’ll give it a try to hatch the guineas under a hen and if it doesn’t work I’ll think of something else. I do have a fair amount of room for the hens and they don’t tend to pick on each other much (I also only have a few). What do you think the probability that one would hurt or injured a chick is? I have heard that the mother hen will protect her chicks, especially if the hen is dominant. My hens are like pets so I do know what you mean about losing the chicks. Thanks again for your help! It’s tough to guess what the probability is that someone will be hurt, because that will depend a lot on the composition of your flock (breeds, ages), the individual personalities involved, how much space they have… even the weather (since they will have less space to enjoy and less to occupy them if you’ve got cold, snowy weather and they’re all staying in the coop!). I have lost a chick this way, though, and it was terrible. Mother did try to protect the chick, but she wasn’t successful. I was very careful about the introductions, and I was RIGHT THERE to supervise… but neither I nor mother hen was quick enough. The attacker was a submissive hen who has now passed on, and I haven’t had the same problems with introductions since she died. But even so, I never would have guessed it of her before I saw it with my own eyes. She was not aggressive with humans or with the other hens. I’ve found that it’s often a submissive hen who attacks newcomers or baby chicks, because submissive hens are the ones who feel their (relatively low) position could be challenged. I’m not saying don’t try it. I’m just saying be aware of the risks, be sure you’re willing to take those risks, and be prepared for the possible consequences! Best of luck. Thanks so much, Lissa! I guess I’ll just play it by ear and see how things go with the chicks and hens. I won’t be doing anything until the guineas start laying so the weather should be nice and the other hens will probably spend most of their time outside. When I do introduce the chicks, whether it’s right away or in a couple of weeks, how will I know if things are going OK or not? Will the other birds show aggression right away if they’re going to or are they likely to wait until I’m not there to supervise? Also, do you have any idea if guineas are likely to be aggressive to a guinea chick raised by hen? Sorry for all the questions! I just want to make sure I get this right. And thanks again for all your help! No problem! I’m afraid I don’t have any experience with guineas, so I can’t answer how they will respond. As to your other question, the way I manage introductions in my coop gives me some insight as to whether there will be problems later on. I have a separate brooder area, where the adults can see the broody-mom and chicks, and interact safely without anyone being in danger. If you have a hen who can’t get over wanting to attack the babies through the wire, she may present problems later on when I open the brooder to the main coop. You also have to distinguish between a hen wanting to get at the chicks, and a hen simply wanting to get at the starter food! With typical perversity, adult hens all want the starter food, and chicks all want the layer pellets. (When I do mix the ages, I use a developer, which both ages can eat. I always provide free choice oyster shell for calcium, but I have to keep an eye out to keep the shell filled when the developer is offered.) Whether a hen wanting to attack will do it in front of you or not can sometimes depend on how she views you, and herself, in the pecking order. If she views you as the top hen (or rooster), she may be shy about attacking in front of you… unless the chicks specifically invade her territory (get in front of her at the feeder, try to roost in her spot, etc). After all, it is the place of the top hen or rooster to lead in driving out invaders, but it is in her purview to defend her own place in the pecking order. If she doesn’t see you as a weird-looking chicken who is a part of the flock–which is actually preferable for a number of reasons–she will probably do her thing whether you’re standing there or not. These are just generalizations, though. Animals can be just as individual and unpredictable as humans! 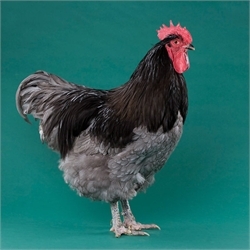 I would like to be notified when Blue Favaucana’s become available. I am hoping to add a female chick to my order with a June 9th hatch date. so excited for the blue fauvicana! I cannot wait to order mine! Our baby chicks are hatching today at My Pet Chicken, February 18th, 2014. This is a very exciting week for us awaiting the 15 rare chick order to arrive at the post office. This is our first batch of chicks, and great raves when they begin to lay eggs.